Folks grab your hats and horses and head to Little Manatee River State Park for the Cowboy Cook-out fundraiser on Saturday, April 13. Last year’s event had such good reviews The Friends of Little Manatee River State Park decided to make it even better this year. Gates open at 4 p.m. and the trail ride through the park is at 5:45 with hopes to stir up some deer. Return to a campfire where nonriders will be enjoying music by Skylar Clark who got his start at Little Manatee and is now playing major venues such as Dallas Bull and Janis Landing when he isn’t writing new songs to sing. Then there will be cowboy poetry and story telling by Les McDowell from the Dry Creek TV series which he wrote and produced; you will get a lot of hoots from this cowboy. 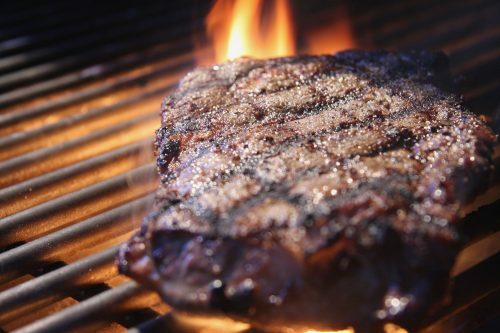 The smell of ribeye steaks cooking will have your mouth watering as you chow down on steak or salmon with salad, baked potatoes with all the fix-ins, green bean al monde, rolls and cheesecake for dessert. Water, tea and coffee will always be available, but a new addition this year is beer and wine included with your dinner, two per ticket. Two additional drinks can be purchased for $4 each before 8:30 p.m. There will be Cowboy Bingo and a 50/50 raffle. You can get your advance tickets from TheFriendsOfLittleManatee.Org for $59. There will not be any tickets sold the day of the event. Be sure to take your tickets and a valid ID for beer and wine. There are a few rental horses available from Born to Ride. Call 941-812-1980 if you need a horse. For more information, call 813-841-4218 or 813-677-9291. For special needs call Kate at 813-671-5005. The park is located at 215 Lightfoot Road, Wimauma. Little Manatee River State Park is a 501(c)3 nonprofit and all proceeds go to benefit the park.